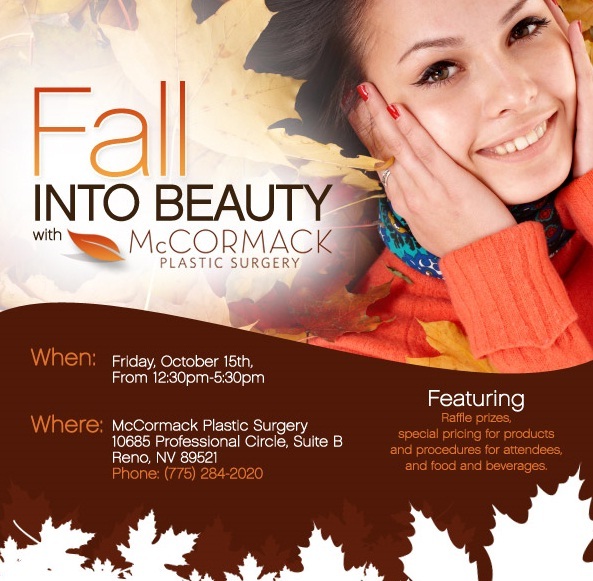 Join McCormack Plastic Surgery on Friday, October 15th from 12:30pm to 5:30pm for a fun-filled afternoon of beauty and special offers. Dr. McCormack and her team will be discussing some of the latest non-invasive rejuvenation options for the face and body, plus the event will feature laser demos, prize giveaways and special pricing on all your skin care needs. RSVP to (775) 284-2020 by Wednesday, 10/13. We look forward to seeing you then!